The Search For The Perfect Snow Boot. I’m obsessed with cold weather gear right now. This is our third week in a row in New York that we’re starting it off with another winter storm. I thought I would share my research on the most popular boots in the city. New York Today: What’s the Local Version of a ‘Wintry Mix’? Feb. 9, 2015, New York Times City Room Blogs. Friday, when I was leaving my son’s school in the morning, I was stopped by a local reporter who was doing a story on traffic in the area. After we finished talking I looked down and noticed she was wearing the boots I’ve been wanting for the past 3 years, The L.L. Bean 10″ Shearling Lined Boot. Somehow as a mom I could never justify spending that much on a shoe I would only wear occasionally. I finally decided this week I would get them and found that they’re back ordered until June. I asked the reporter how she liked them and she told me that they leaked and were very warm when her feet weren’t wet! She was sending them back. I can speak from my own experience that L.L. Bean has great customer service and guarantees their products, so I’m sure she will have no trouble returning or replacing them. 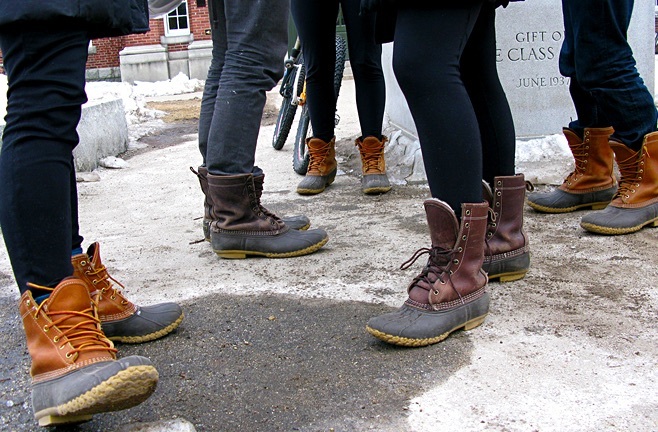 The second most popular boot is Sorel. Unfortunately every online site was sold out in my size so I finally settled on a pair of Keen boots after reading the reviews. I will have to post back with an update when they arrive. My favorite boot for the past two winters has been The Emu Leeville boot. I would replace it, but I think it’s been discontinued in the US. 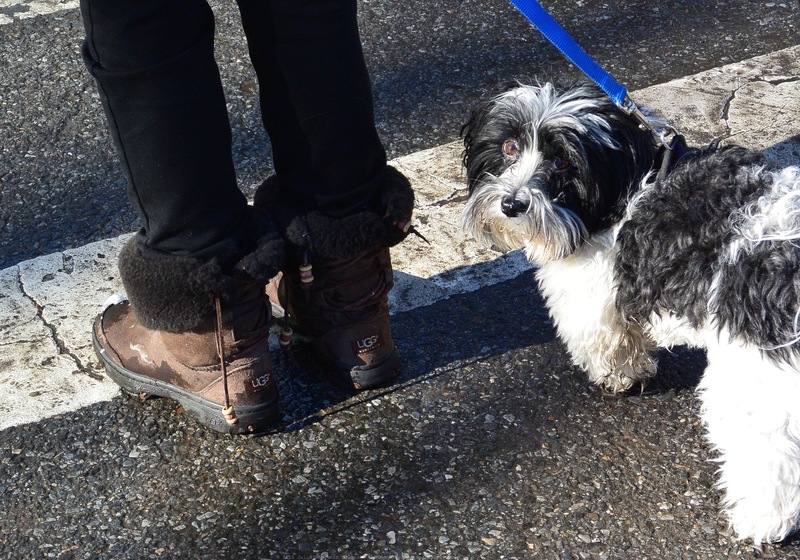 The third most popular winter boots on the street are Uggs. In addition to these 3 below I’ve listed some of my favorite brands. I’d love to hear what your favorite winter boot is, jackets and gear too! § 9 Responses to The Search For The Perfect Snow Boot. Oh my gosh Julia, Pete is obsessed with Keen products. I think (from experience with Pete) that they have better customer service than L.L. Bean. Good luck and try and keep warm. Both Keen and Sorel are from Portland Oregon! I’m on my second pair of Keens. I’ve never been brave enough to try this. Glad to hear it does work without ruining the shoes! Gosh, I got mine in Kmart because I refuse to invest much in something so utilitarian 🙂 I take my real shoes in another bag to change into. Jackie, so smart and practical. In past years I thought along similar lines and would buy something on sale at Marshalls or TJ Maxx, but this year something changed for me and I decided I needed to winterize! You are currently reading The Search For The Perfect Snow Boot. at Women's Footwear in America.